Subtle and elegant with a steely core, concentrated flavors of grapefruit, marmalade, and soft vanilla undertones. Subtle and elegant with a steely core, this wine perfectly mirrors its illustrious namesake in every way. 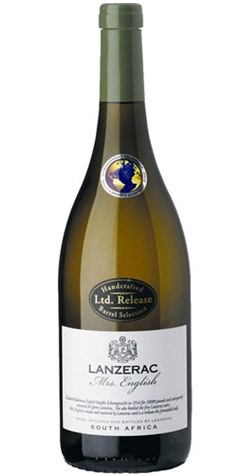 The wine is given further distinction and definition by using a small amount of Pinot Blanc, adding freshness and perfume to the concentrated flavours of grapefruit, marmalade, and soft vanilla undertones. Careful oaking and extended lees contact have added texture and richness leaving the wine seamless, subtle and satisfying. The whole bunches crushed without prior destemming to ensure a prominent fruit character as well as a well-rounded wine. After pressing, the juice was settled in stainless-steel tanks for 48 hours at 12 - 14°C before the clear juice was racked to French oak barrels. Each barrel was inoculated with different yeast strains. A third of the wine was fermented with natural yeasts. This ensures a 'softer' wine with complexity. The barrels used on the Chardonnay were 50% new and 50% 2nd fill. After fermentation in the barrels, the wine stayed on the lees. The wine was sulphured and left to mature in the barrels for eleven months. Batonnage was done every week for 12 months.